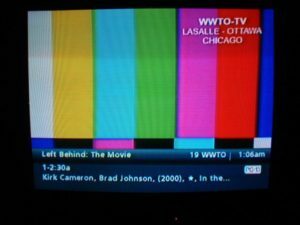 How come a LaSalle County TV station is the most valuable in the country? Well now, more precisely, how come the spectrum held by a TV station broadcasting from Ottawa fetched a higher price than any other station offered? WWTO is owned by Trinity Broadcasting and broadcasts on five digital subchannels according to the Wikipedia article. According to the report today from the Federal Communications Commission, their spectrum sold for $304 million, highest in the U S. , while WYCC’s spectrum in Chicago fetched only $16 million. I know there are all kinds of technical considerations that might explain the difference, but it’s a curious one. Some of us are suspicious when government-owned assets are sold for a comparatively low price. Both stations are reportedly going off the air. Nationwide, most of the spectrum has been “purchased” by wireless companies but apparently some will be returned to the “unlicensed” category for use by wifi and similar low-power devices. So most of the spectrum will be used by private corporations to provide services from which they expect to obtain a profit. Kind of like commercial land, which everyone agrees is subject to tax. So why does the government not tax privately-held spectrum?